As many of you know, I have repeatedly pointed out how the Department of Political Science at KSU is a department on the move. I am pleased to announce that this is now true both literally and figuratively. 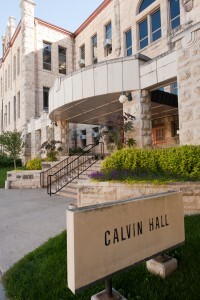 Following a university wide selection process, our department was chosen to move into Calvin Hall, the former home of the School of Business, in January 2017. We will be joined in Calvin by the Arts and Sciences Dean’s Office and the Department of History. Our new space offers a number of benefits. It is located near the Student Union and the parking garage, allowing easy access for visitors and guests. It has ample space for all of our faculty and graduate students, which should enhance interaction and collaboration. It has common areas that are perfect for building a sense of comradery among our students. Undergraduate and graduate majors can congregate to work on course projects, share ideas, and build potentially lifelong connections over common interests and ambitions. 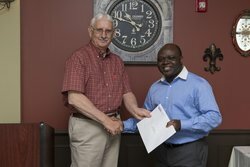 Since Political Science and History are the constituent units of the Security Studies graduate program, our move will also produce even stronger bonds among faculty and students in this growing interdisciplinary program. As should be apparent, we are excited about the move! We are also excited about many other recent developments. Since there are too many to include in a single e-newsletter, we decided to produce two e-newsletter this fall. This first edition will provide an update on some of the remarkable achievements of our students. The next edition will share highlights from our faculty and the various research enterprises that are helping to propel the department toward our 2025 goals. As always, please consider stopping by and visiting us when you are in town – but be sure to jot down our new address if you come after January 2017! 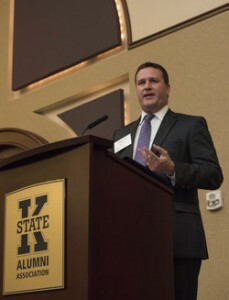 Jared Wasinger, a student in our Master of Public Administration program, received one of two scholarships awarded annually by the Kansas Association of City/County Management. 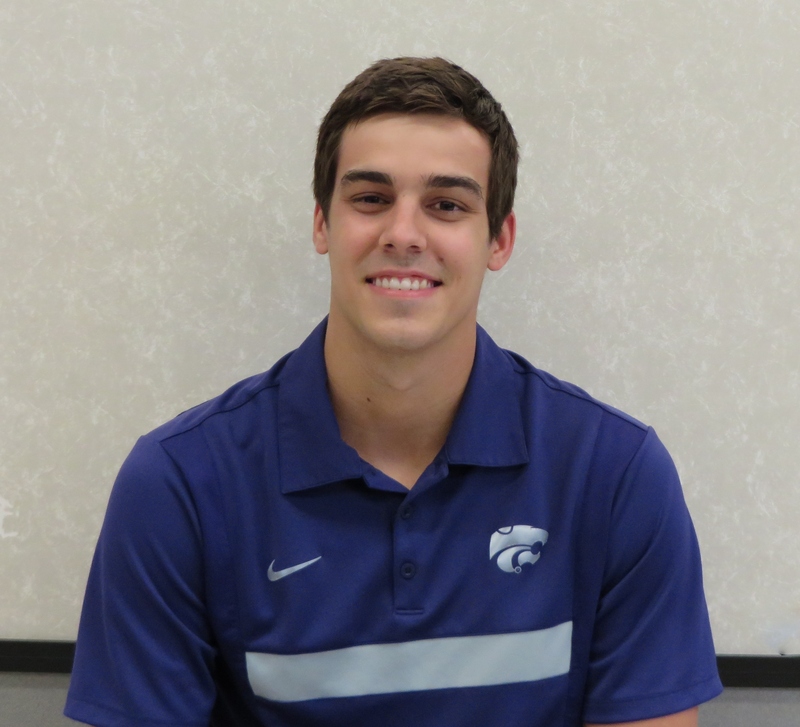 Jared is a Kansas native who received his undergraduate degree from K-State. 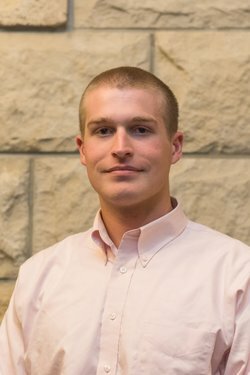 Joel Blankenship, senior in political science, history, and international studies, has been awarded a David L. Boren Scholarship. The Boren Scholarship, sponsored by the National Security Education Program, provides funds for undergraduate and graduate students to experience linguistic and cultural immersion in countries influential in maintaining U.S. national security. 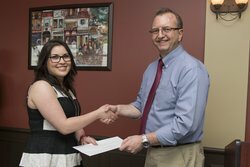 Joel is the recipient of $19,300 in scholarship funds to support two semesters in Kyrgyzstan to study the Russian language. During his first semester, Joel will be fully immersed in the Russian language and Kyrgyz culture while living with a host family. In his second semester, he plans to gain internship experience with a nongovernmental organization or the United Nations Development Agency. Upon graduation, Boren scholars such as Joel are guaranteed employment in a federal government agency focusing on national security. Joel is an Army ROTC cadet, a member of the University Honors Program, member of the Silver Key Sophomore Honorary Society, and a delegate on the university’s Model U.N team. The department held its annual scholarship reception on Friday April 10, 2015 in the Manhattan Room at the Manhattan Country Club. Family, guests, donors, and faculty members joined our scholarship winners and majors for an enjoyable afternoon. Please consider joining the fun at this year’s reception, which will be held at the Manhattan Country Club on Friday April 15, 2016. Rabia Abktar, PhD 2015, is the founding Director of the Centre for Security, Strategy, and Policy Research at the University of Lahore, Pakistan. Saad Alsubie (Col), PhD 2013, has helped to develop the curriculum and teaches at the Saudi Command and General Staff College, which offers MA degrees in strategic, security, and military studies. To support future generations of students, consider donating to the KSU Political Science Department Excellence Fund. It is easy to give online. 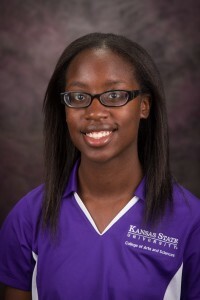 Simply go to the Scholarships and Giving web page on the Department website: http://www.k-state.edu/polsci/scholarships/.